April 29, 2010  The cash payouts would be in addition to death benefits that include health insurance, college tuition, life insurance and continued weekly paychecks. 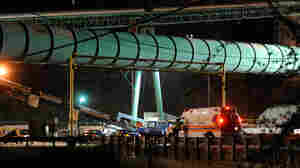 The owner of the Upper Big Branch mine in West Virginia, where 29 people were killed in an explosion April 5, declined to confirm the details of the settlement offers. April 24, 2010  Twenty-nine mine workers are dead, and hundreds of safety citations have been filed against Massey Energy. But Massey and some Wall Street analysts seem to be saying, "Not to worry." Other analysts think the rush to analyze the company's financial prospects is "crass." April 21, 2010  Former International Olympic Committee president Juan Antonio Samaranch died in Barcelona on Wednesday after being hospitalized for heart trouble. The former Spanish diplomat was a major force in the Olympic movement, leading the IOC for 21 years and presiding over a massive transformation, along with disruptive doping and ethics scandals. April 21, 2010  Former International Olympic Committee president Juan Antonio Samaranch died Wednesday at age 89. The Spaniard is being remembered as the man who shaped the face of the modern Olympic movement. April 21, 2010  Juan Antonio Samaranch inherited an Olympic movement struggling to survive and is credited with making the games financially sound during his 21 years as head of the International Olympic Committee. He also presided over the death of amateurism at the Olympics, as well as major doping and ethics scandals that challenged the integrity of athletes and Olympic officials. 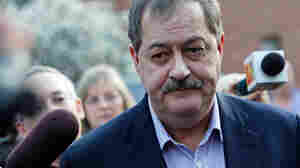 April 17, 2010  A statement filed with the SEC ahead of Massey Energy's annual stockholders meeting shows Don Blankenship was paid $17.8 million last year, nearly double his compensation in 2007. The company, which owns the mine where 29 miners died last week, was assessed $12.9 million in proposed fines for safety violations in 2009. NPR's Howard Berkes joins host Liane Hansen to discuss newly-released documents detailing Blankenship's pay. April 15, 2010  President Obama issued an order Thursday sending federal mine safety inspectors and enforcement officials into mines with "troubling safety records." The decision follows last week's explosion at the Upper Big Branch Mine in West Virginia, in which 29 miners died. April 13, 2010  An NPR News Investigation has found that Massey Energy had nine coal mines with high injury rates last year, in addition to the Upper Big Branch mine in West Virginia where 29 miners died last week. Four Massey mines had injury rates more than twice the national rate in 2009. April 7, 2010  The mine explosion in West Virginia and the tragic loss of life have shocked those who pay close attention to coal mine safety. Just two weeks ago, some had marked a mine safety milestone: the nation's safest year ever. April 2, 2010  As the Census Bureau launched its big push for the return of Census forms, rural counties in the upper Midwest have the highest response rates. Puerto Rico, Alaska, Washington, D.C., and rural counties in Texas and the West have the lowest rates. At stake are billions in federal funding and representation in Congress. Pierce County, N.D., has returned 75 percent of its completed forms. March 22, 2010  Democrats aren't alone in attracting angry voters ready to throw them out. Three-term incumbent Sen. Bob Bennett is facing an unexpected challenge, even in solidly Republican Utah. And Utah's nomination process involving neighborhood caucuses and a state convention may give ultraconservatives the advantage.